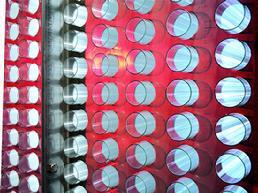 We carry a range of tubular gauge glasses that are preferred in a wide variety of industrial and commercial applications. 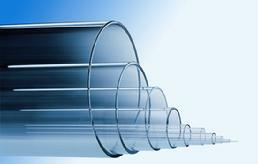 Tubular gauge glass is offered as Red Line, Standard, Heavy Wall, High Pressure, and Heavy Wall Red Line. Diameters range from 1/2" OD to 1 1/2" OD. End finishes may be cut, ground, or fire polished depending on application. Pressure ratings range from 90 psi to 600 psi depending on end finish, diameter, and length required. 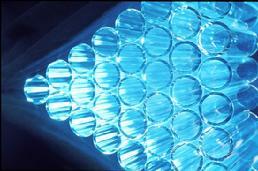 Borosilicate glass used to manufacture these products has excellent chemical and thermal resistance. Please contact our sales specialists to discuss your application. We carry a variety of brands including SCHOTT DURAN. Applications: Low pressure boilers, restaurant equipment, closed tanks, liquid level gauges, sight flow, film rolls, hydraulic equipment. Benefits: Economical, low pressure applications, long service life. Applications: Tanks, reservoirs, low pressure boilers. Benefits: The red line shaded with white lines make it easier to read the liquid level. Applications: Crude oil, water or gas flowmeter. 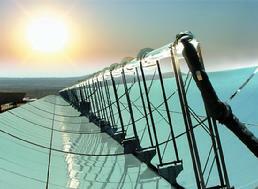 Benefits: Permit stable and reliable operation while viewing oil, water or gas flow rates. End Finish: Carborundum saw cut. Applications: sight , flow indicators. Benefits: Visual indication of liquid flow, contamination or discoloration of liquid, metering a constant rate of flow through a fixed port. End finish: Saw cut and firepolish. 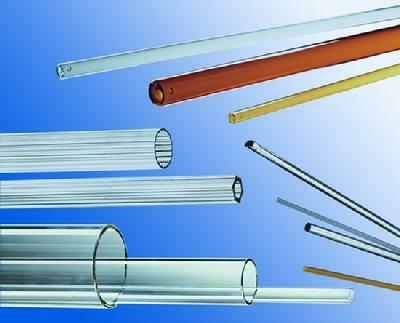 There are numerous industrial, commercial and OEM applications for specialized glass tubing. We will help you find the right material for your needs. Whether you need a couple of tubes or a couple of truckloads, we can help. We supply industrial customers and manufacturers right across North America.